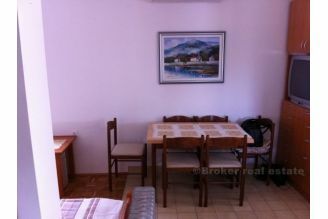 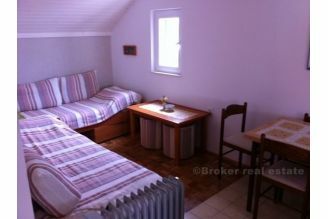 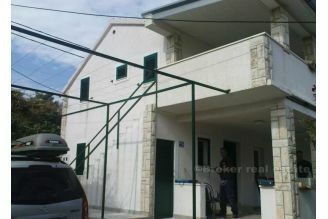 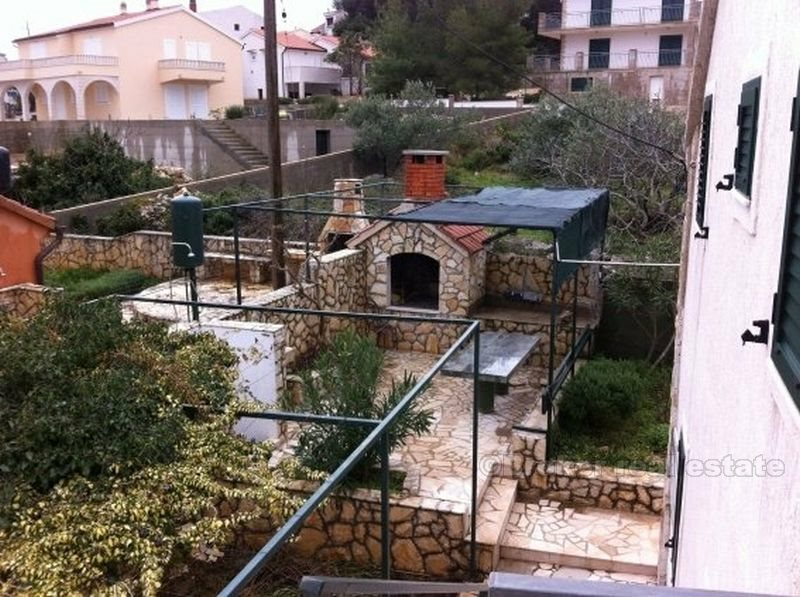 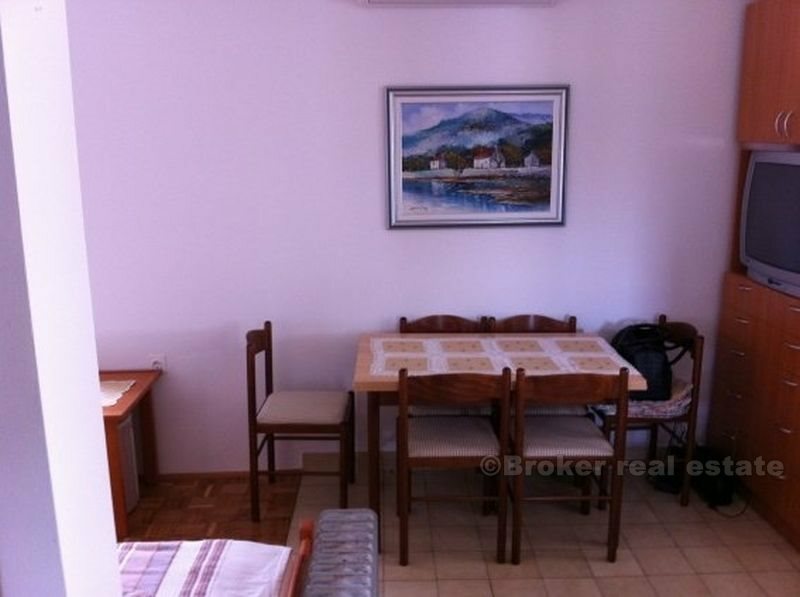 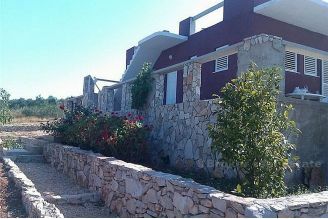 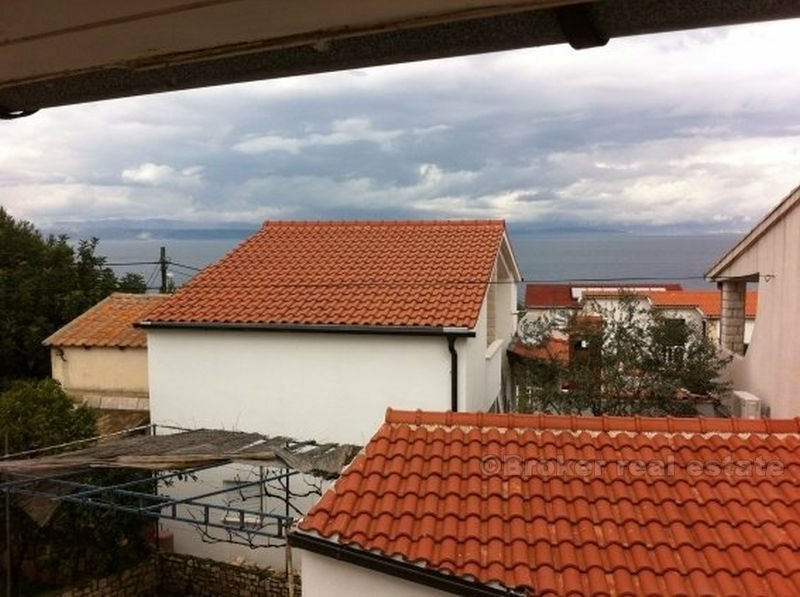 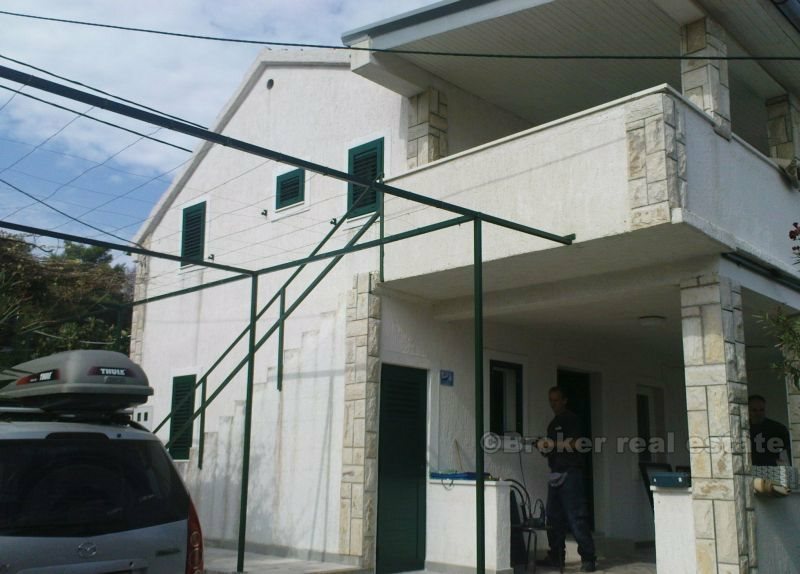 Beautiful small detached holiday home in the small tourist village on the island of Solta. 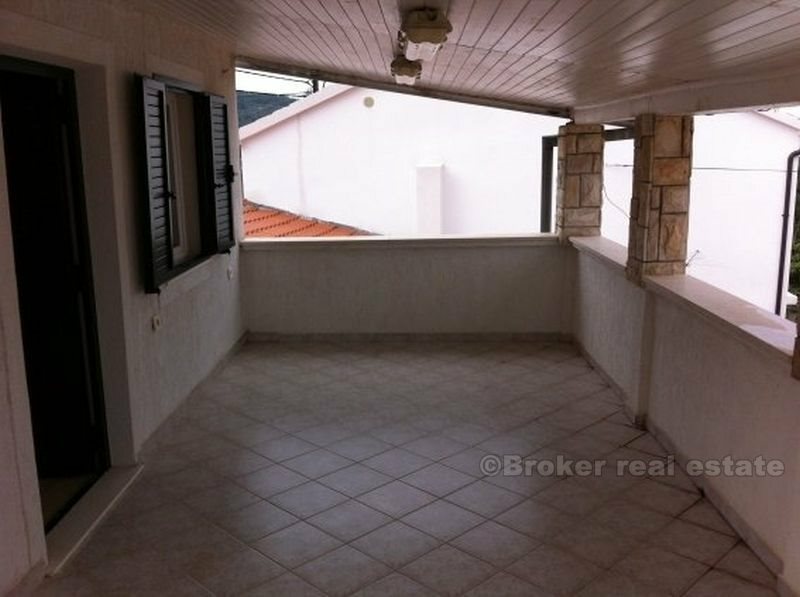 The house has two floors (ground and first floor) with two separate apartments, each with 30 m2 of living space on 210 m2 of land. 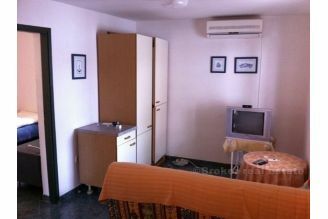 Each apartment consists of two bedrooms, kitchen, living room, bathroom with toilet and a covered terrace of 20 m2. 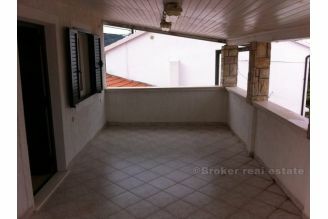 Terrace on the ground floor is closed by a wall on one side so you can expand the living space for part of the terrace. 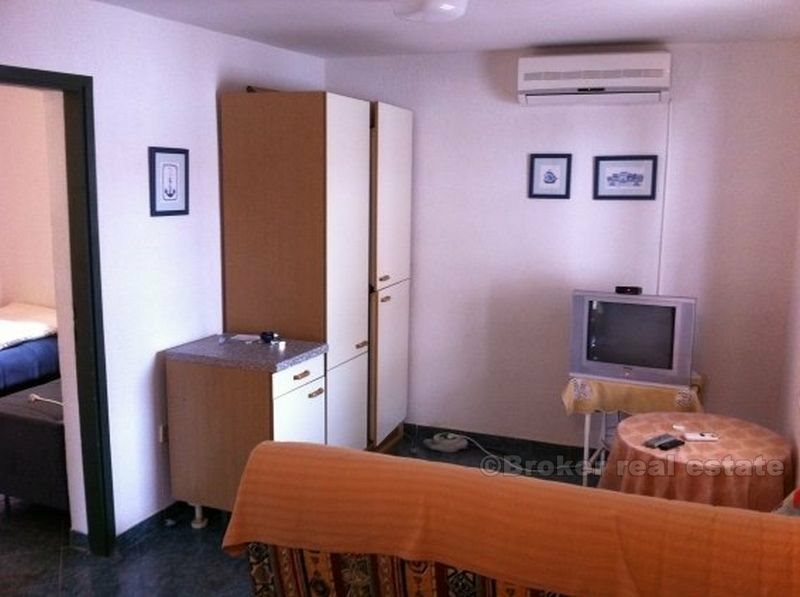 Each apartment has air conditioning. 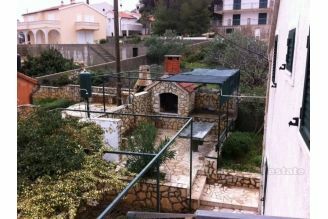 The yard is very well kept, has a fireplace and two parking spaces. 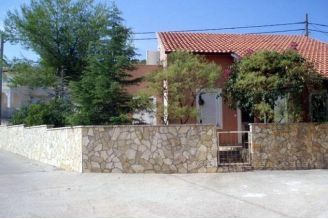 The house has a small storage room of 9m2 house is only 70 m from the beach. 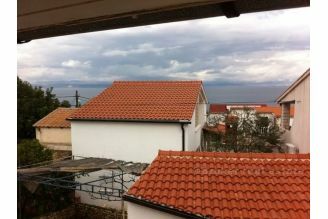 Sea view from the upper floor.